Treasury sanctions two Iran-backed foreign fighter militias in Syria and two airlines that help send weapons to Syria. The United States on Thursday sanctioned two Iran-backed foreign fighter militias in Syria and two airlines that help send weapons to Syria, Reuters reported. All four groups are linked to Iran’s Mahan Air and Iran’s elite military unit, the Islamic Revolutionary Guard Corps-Quds Force (IRGC-QF), both of which are already blacklisted, the US Treasury Department said in a statement. Just this week, Mahan Air was blacklisted by Germany. The airline was blacklisted by the US in 2011, as Washington said the carrier was providing technical and material support to an elite unit of Iran's Revolutionary Guards known as the Quds Force. Among the entities sanctioned on Thursday are the Fatemiyoun Division and Zaynabiyoun Brigade for providing material support to the IRGC-QF, the statement said. The Treasury said Iran-based Qeshm Fars Air was designated for being owned or controlled by Mahan Air and for providing material support to the Quds Force. Qeshm Air has been suspected in the past of smuggling arms into Lebanon, destined for the Hezbollah terrorist organization and Iranian weapons factories. Armenia-based Flight Travel LLC acts for or on behalf of Mahan Air, which transports Iran-allied personnel and weapons to Syria and was also sanctioned, the Treasury said. Sigal Mandelker, undersecretary for terrorism and financial intelligence, said the Treasury is aggressively targeting groups that support Mahan air. 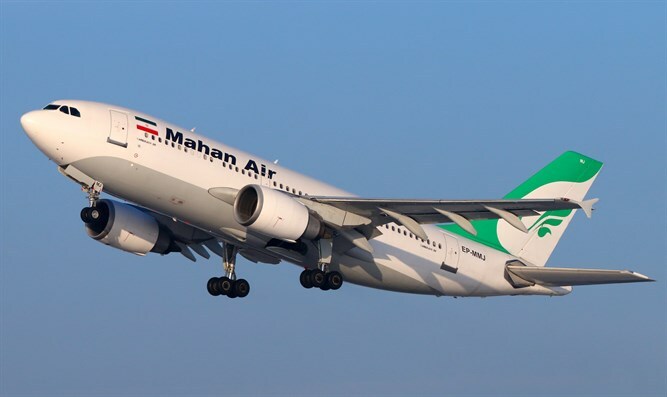 “Iran continues to leverage Mahan Air and its commercial aviation sector to transport individuals and weapons needed to carry out this tragic campaign and to fuel sectarian conflict throughout the region,” she said in the statement quoted by Reuters.